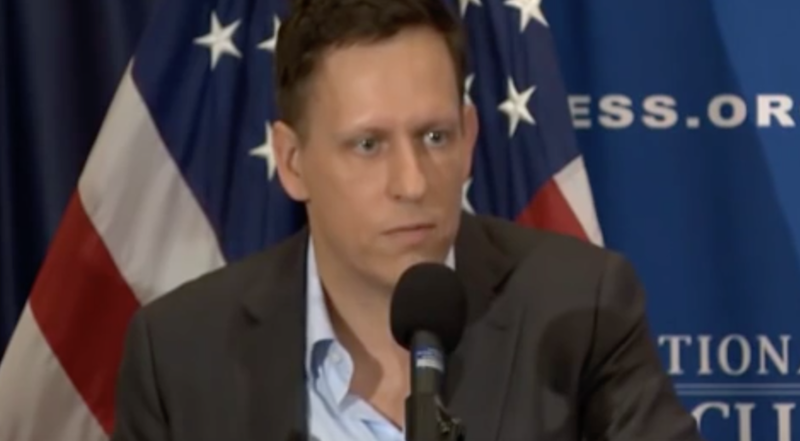 Peter Thiel, the billionaire Paypal co-founder and apparent financier of the Hulk Hogan Gawker lawsuit, spoke at the National Press Club on why he supports Donald Trump for President. Of course, this is only news because in Silicon Valley and especially the young tech and startup world of San Francisco, he’s really going against the tide. Thiel’s most powerful argument for Trump is about trade, where even Bernie Sanders voters find agreement. The past strategies of all Republicans and Democrats has left us with a country that is on a direct path to manufacturing nothing, and this is killing the middle class and good paying blue collar jobs. Why do voters still support Donald Trump even if they think the American situation is serious? Why would they think that Trump, of all people, could make it any better? I think it’s because of the big things that Trump gets right. For example, free trade has not worked out well for all of America. It helps Trump that the other side just doesn’t get it. All of our elites preach free trade. The highly educated people who make public policy explain that cheap imports make everyone a winner, according to economic theory. But in actual practice, we’ve lost tens of thousands of factories and million of jobs to foreign trade and the heartland has been devastated. Maybe policymakers really believe that nobody loses, or maybe they don’t worry about it too much because they think they’re among the winners. The sheer size of the US trade deficit shows that something has gone badly wrong. The most developed country in the world should be exporting capital to less developed countries. Instead, the United States is importing more than 500 billion dollars every year. That money flows into financial assets, it distorts our economy in favor of more banking and more financialization and it gives the well-connected people who benefit a reason to defend the status quo. But not everyone benefits… and the Trump voters know it.